PM Modi will be in the UAE on February 10 and 11 and will address the sixth World Government Summit in Dubai. 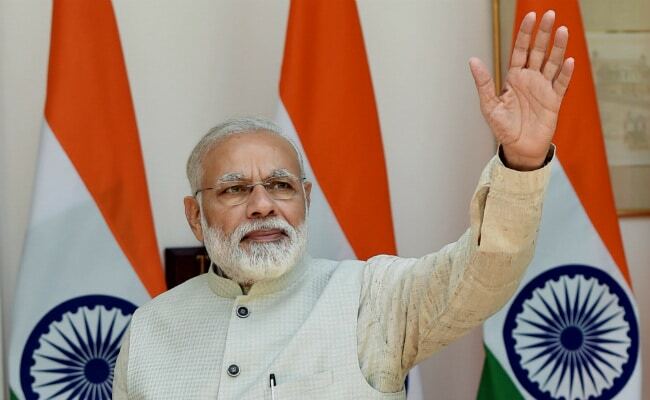 This will be Prime Minister Narendra Modi's second visit to the UAE. Dubai: Prime Minister Narendra Modi is set to visit the UAE later this week which authorities and business leaders say signifies the special importance India attaches to its ties with the oil-rich nation and will help in furthering cooperation in diplomatic, economic and security issues. "Prime Minister Narendra Modi s second visit to UAE is an indication of the special importance we attach to the India- UAE relationship," India's Ambassador to the UAE Navdeep Singh Suri said. According to him, the visit builds in the momentum that has developed since India hosted Crown Prince of Abu Dhabi Sheikh Mohammed bin Zayed as chief guest on Republic Day in 2017. Besides bilateral engagements, Prime Minister Modi is scheduled to address members of the Indian community at the Dubai Opera House. "During the year, we have seen major UAE investments into India, a significant increase in defence and security cooperation, a transformation in our energy ties from a buyer seller relationship to a strategic partnership. "For the community, the first Hindu temple in Abu Dhabi will be great news," Mr Suri said. Echoing Mr Suri s sentiments, the UAE ambassador to India Ahmed Al-Banna said the visit "tells us the direction that India and the UAE have in mind and also the characteristics of our respective leaderships." "The leadership has put us on a challenging and interesting track where the relationship is very important, on many sectors, and our leaders are pushing to rewrite future plans for both nations," Al-Banna said. While Ambassador Mr Suri highlighted the trade and investment component of this rapidly-evolving relationship, Ambassador Al-Banna chose to emphasise on the connectivity aspect of it. "There are 1,076 flights a week between India and the UAE, which is the largest operation of its kind. More than 50 per cent of Indians, who travel outside India to different destinations, such as Europe or America, use Dubai and Abu Dhabi as their transit hub," he said. It is obvious that both sides are banking on prime minister's visit to go over and above the 17 bilateral agreements signed in January 2016, and 14 agreements in February 2017. With an eye on India, some leading Gulf businesses with Indians at the helm see this as realisation of long-held dreams. Yusuffali MA, chairman Lulu Group International and member of Abu Dhabi Chamber of Commerce, said India had been on an aggressive forward march with regard to attracting FDIs. "The recent report by leading rating agencies and financial institutions have all lauded India s fiscal policies and ease of doing business, so obviously India does look like a hot destination for investment. As far Indo-UAE business relationship is concerned, it is at all time high with both countries being each other's top trading partner," Mr Yusuffali said. According to him, till recently India was seen as an investment destination only, but off late UAE has been trying to woo Indian businesses to invest and set up operations here. "This move shows the kind of confidence UAE has on Indian economy and I am sure business houses in both countries will be eagerly looking forward to this visit to open up new areas of co-operation," Mr Yusuffali said. Manoj Prasad, Executive Chairman, of DIFC-based investment banking firm, Que Capital Limited, believes this visit truly signifies the seriousness among top Indian leadership toward making an ever growing relationship between two countries more meaningful. "The ambition is obviously growth to which both countries have already started contributing, be it through India investing in infrastructure or the bilateral investment fund which is in the process of being setup," says Mr Prasad. According to him, businesses among the two countries have witnessed unprecedented growth in recent years. "The comfort and mutual respect for leaders of both the countries are clearly visible and the visit of Prime Minister Modi to the land with highest NRI diaspora in the world would further enhance it," he said. A wide spectrum of companies stands to gain from improving bilateral relations facilitating business climate on both sides, he said. Kulwant Singh, the founder and managing director of Lama Hospitality group, feels the visit signifies that we are serious about our relationship and take our commitments, business associations, joint opportunities, and strategic tie ups seriously. "We see the formula of successful businesses matching with the perfect platform of opportunities available in India. With the new budget in place, NRIs will have huge opportunities in sectors like healthcare, education, and infrastructure," Mr Singh told PTI. Prasanth Manghat, CEO and Executive Director, NMC Health Plc, says the visit will not only develop his outreach to the Arab world but also offer a prospect to further the strategic partnerships in the region. According to him, the visit is seen by many as cementing the close relationship PM Modi shares with the UAE leadership, also furthering cooperation in diplomatic, economic and security issues. "At the ground level of delivery, the strategic partnership is being expanded and the UAE has announced plans to invest USD 75 billion over a decade to meet India s infrastructure needs," he said. Indian expatriates in the UAE actively participate in projects toward the development of the UAE and this visit will help further evolve the deep and historic relationship shared between the two countries, said Mehirr Nath Choppra, CEO Qasbah Group. "It would certainly help to get an overview of the projects that have been announced in the past and their current status so serious players can set their timelines accordingly," Mr Choppra said.